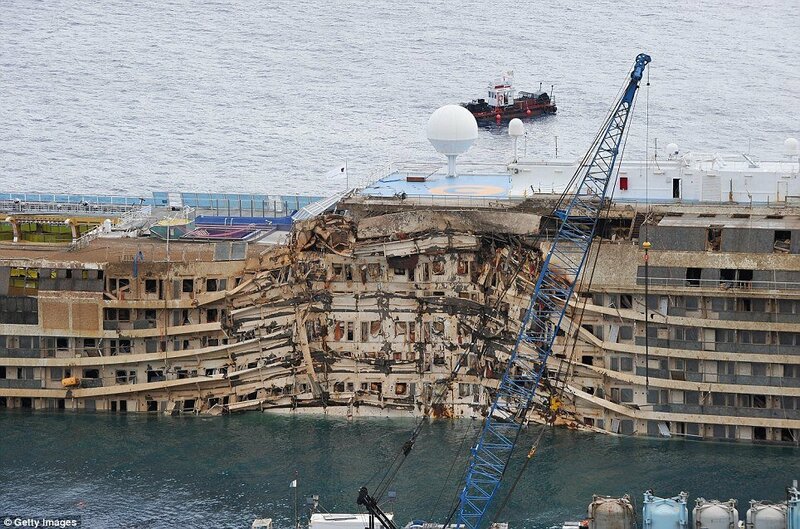 The wrecked Costa Concordia cruise ship is being towed on its final journey to the port of Genoa for scrapping. Costa Concordia struck a reef off the Italian island of Giglio in January 2012 and capsized, killing 32 people. It was re-floated nine days ago and is being kept above the surface by giant buoyancy chambers. Over a dozen vessels will help to tow the ship. The journey, which is expected to take four days, began shortly before 09:00 local time. However, French ecology minister Segolene Royal has said she will monitor the ship’s movement from Corsica. Residents on the island fear that any oil leak from the cruise ship could cause significant environmental damage. The Concordia is set to sail 15 miles from Corsica and close to the islands of Elba and Capri before its expected arrival in Genoa late on Saturday. The Costa Concordia’s owners, Costa Crociere, estimate the operation to remove the wreck from the reef and tow it for scrapping will cost 1.5 billion euros ($2 billion) in total.